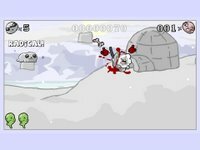 Clubby the Seal is another flash effort by Diverge Creations, packed with plenty of cartoon killing which might offend a few people. Your protagonist is armed with a club on a mission of revenge, bashing in the heads of poor eskimos and skinning them to sell their hides on the black market. 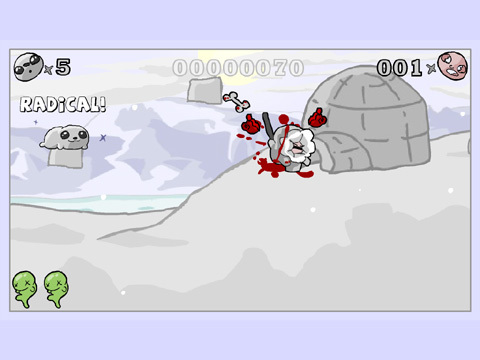 Press the A key to attack, and use the S or up arrow key to jump. Skins can be bartered for special items such as extra lives or protective masks. Fishes can be collected to restore health, as indicated at the bottom left of the screen. There's the occasional boss fights as well.